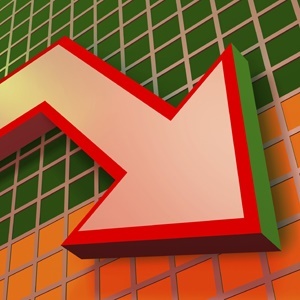 Cape Town - The harsh realities of weak household income growth, poor credit extension and soaring food prices during the festive season led to a dive in South African consumer levels, the FNB and Bureau of Economic Research (BER) Consumer Confidence Index (CCI) showed on Monday. The index sagged to -10 in the fourth quarter of 2016, the fourth time in less than two years that the CCI has dropped to -10 or lower, after bouncing back from -11 in the second quarter of 2016 to -3 in the third quarter. Consumer sentiment has been consistently below the long-term average reading of 4 since the second half of 2014, FNB said in a statement. The fourth-quarter slump in consumer sentiment followed setbacks in the two forward-looking sub-indices of the CCI, namely the expected performance of the SA economy in 12 months' time and the financial prospects of households in 12 months' time. In the third quarter, the economic outlook index recovered from -17 index points to -4; however, it slumped to -23 in the fourth quarter. The expected financial position index improved from 4 to 16 in the third quarter, but fell back to 6 in the fourth quarter. Conversely, the time to buy durable goods sub-index of the CCI jumped to -13 in the fourth quarter, after slipping from -19 to -21 in the third quarter. According to FNB senior economic analyst Jason Muscat, positive economic developments such as an appreciation in the rand exchange rate, a drop in the petrol price and a modest recovery in job creation boosted consumers' purchasing power and confidence levels during the third quarter of 2016. "The peaceful, free and fair completion of the municipal elections in early August, as well as the final outcome, may also have raised the confidence levels - or expectations for the future - of some consumers. However, the election boost to confidence likely faded during the fourth quarter," explained Muscat. As economic realities sank in, there was also a 7.5% hike in the petrol price between September and November. Confidence levels among affluent consumers may have been affected as the JSE's All-share index fell from above 53 000 points in the first half of September to below 50 000 in the first week of December. Political goings-on could also have suppressed confidence levels, as the National Prosecuting Authority charged Finance Minister Pravin Gordhan with fraud in October, President Jacob Zuma turned to the high court to stop the publication of the public protector’s state capture report, and the world was shocked by Donald Trump's victory in the US presidential race. Low income households (earning less than R7 000 per month) have a less optimistic view of their financial prospects than high income households, said Muscat. "Whereas a small majority of high income households expect their household finances to improve over the next 12 months, most low income households expect their household finances to remain unchanged." Withfood inflation soaring to a 7-year high of 12% year-on-year in October, unemployment on a 12-year high of 27.1% and household credit growth still at a near-standstill, low income households in particular are feeling the heat, said Muscat. "High and low income households alike are very pessimistic about the outlook for the SA economy over the next year and perceive SA's economic prospects to be deteriorating. Both income groups also consider the present time as inappropriate to purchase durable goods, although the high income group's rating of the time to buy durable goods improved during the fourth quarter," said Muscat.